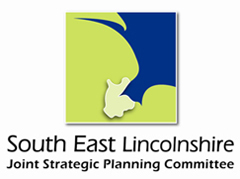 Between 16th July and 28th August 2018, we invited representations on proposed Main Modifications to the Publication Version of the South East Lincolnshire Local Plan 2011-2036. You can see the details of this consultation and the responses to it by clicking here. Representations were invited on the Further Main Modifications and the documents that accompany them between Friday 30th November 2018 and 5PM on Monday 14th January 2019. Comments could be made only on the Further Main Modifications and accompanying documents, and the representations received (together with the Joint Committee’s responses to them) can be seen by clicking here. You can see the Habitats Regulations Assessments which have accompanied the Local Plan through all its stages by clicking here. You can see the Equality Impact Assessments which have accompanied the Local Plan through all its stages by clicking here.